DataIQ - Articles - New year, new me, new job, new data stream? New year, new me, new job, new data stream? At this time of year, a lot of people are thinking about their careers and their fitness. Recruiters say that the first two months of the year is the best period for job hunters to bag a new gig, with companies having secured their budgets and finalised growth plans. In addition, for most people, their new year’s resolution is either to exercise more, lose weight, eat more healthily or a combination of the three. What if your employer were to help you with those admirable intentions? 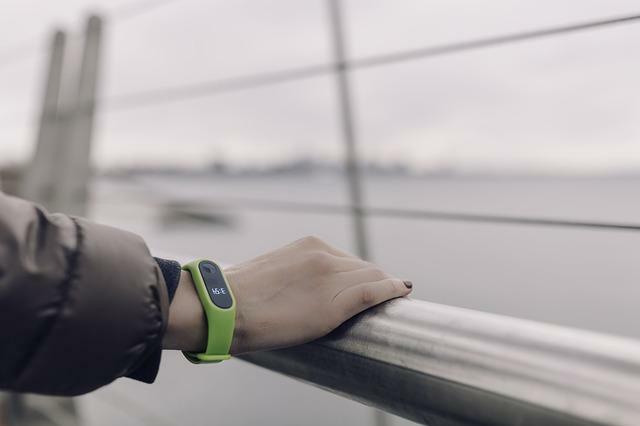 Workplace wellness programmes are nothing new, but this week, one of the world’s most famous activity tracker brands launched two devices specifically for the corporate wellbeing market. The new Fitbit Inspire and Fitbit Inspire HR have the usual features of activity and sleep tracking, showing calories burned and reminders to move. But these super-powered bracelets are only available through Fitbit corporate, wellness, health plan and health systems partners, and customers of their organisations, participants and members. The smart device maker sells its Workforce Health solution as a means to deliver care and effective health coaching to employees and keep track of their activities to avoid the situation that “once they walk out of the door, what happens with their health is a complete mystery.” The new devices will no doubt be one of the ways to remove the mystery. The benefits seem logical enough. A healthy and happy workforce would need less time off sick and should be more productive. If I were to be given such a device by my employer, several questions would race through my head. Who would own my data? Who could access it? Could it be sold without my consent? Could knowledge about my health affect any aspect of my employment? Would I be penalised if I declined to use it? Could I face disciplinary proceedings if my activity fell below a predetermined threshold? What happens to my health data if and when I change jobs? Could I scam the system by putting the tracker on my dog, outside of work hours? Another question comes to mind as just a general citizen. What is so special about this device that a member of the public cannot simply walk into a shop and buy one? This isn’t an attack on Fitbit. I am not a complete cynic. I can see the benefits of such schemes. In countries that do not have universal healthcare and medical costs fall on the individual or the employer, preventative healthcare initiatives make good business sense and could reduce the financial burden on individuals in the long run. But considering the sensitivity of this data, it is imperative that there is clear governance and stringent regulation over how this data is handled, stored and processed. I once had to complete a medical questionnaire and examination before starting a job in a school. The questions became so invasive that I bowed out before the doctor even got his gloves. Had I been informed of the need for my vital statistics, I probably would still have left but it would have built more trust with my then-employer. The principles of personal data and privacy are universal, especially at the intersection of health and employment.